The AM-10 is an early intervention hand and foot tryke (all four limbs moving at the same time). This package comes with a Snappy Seat System. New: Rear Steering and safety flag now standard. AM-10 tryke is intended for early intervention. 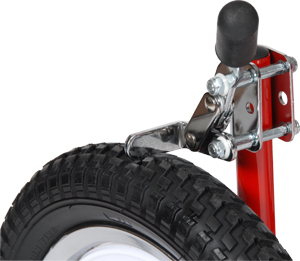 Its fixed drive helps children who might otherwise have problems making a full pedal rotation. Coasting is not possible with a fixed drive; when limb motion stops, the bike does as well. 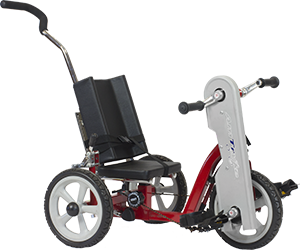 This hand & foot tryke is designed to stimulate reciprocal movement and increase range of motion. Since this is a hand & foot tryke, make sure both the rider’s arm and leg length fit within the range. Assembly required. Available in Amtryke red. 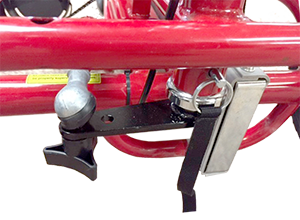 NEW: Rear Steering allows adult to push and steer from behind the tryke and it can convert to a push bar by insterting a pin. This package comes with a Snappy Seat System. 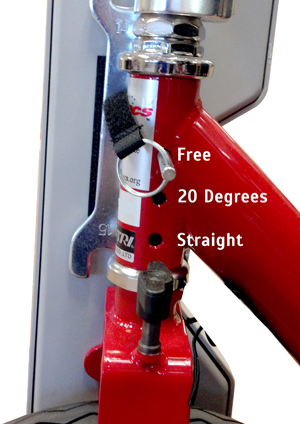 The Snappy Seat System provides added support for the smallest riders. 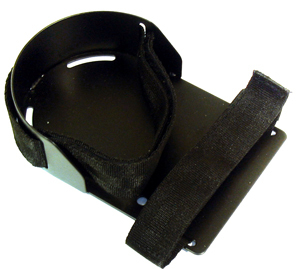 The system consists of a 10 inch wide by 8 inch deep bench seat, a contoured padded back and a safety lap t-strap. 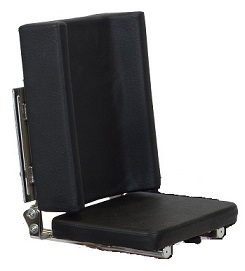 The back can be positioned forward/back along the bench seat and can be angled in several recumbent positions. Several accessories are available.